This font comes with the following 17 versions: Regular, Italic, Condensed, Condensed Italic, Expanded, Expanded Italic, Shadow, Shadow Italic, Riddled, Riddled Italic, Riddled II, Riddled Italic II, Riddled III, Riddled III Italic, Rotate, Rotalic and Leftalic. 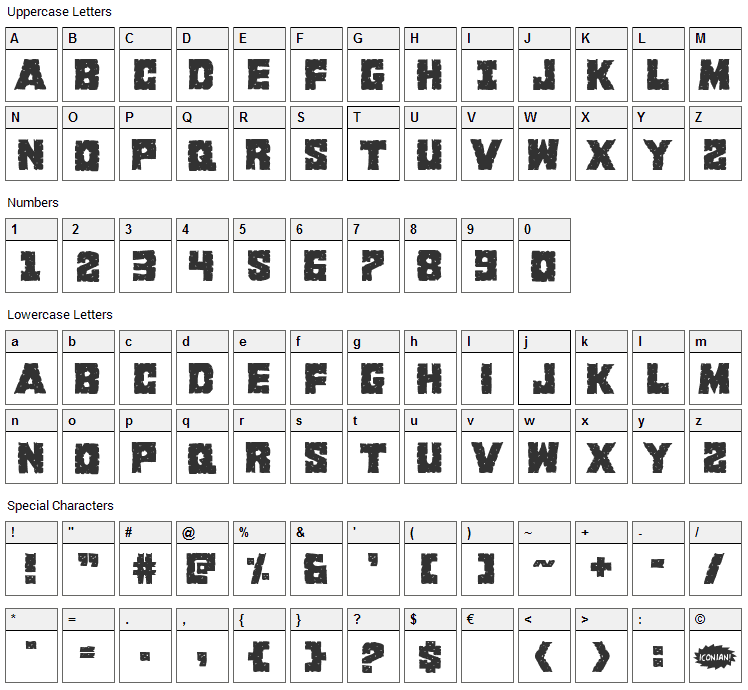 King Commando font contains 114 defined characters and 81 unique glyphs. 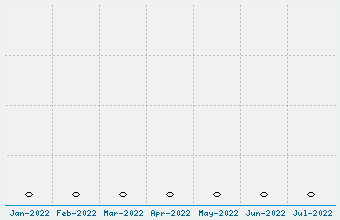 The font contains characters from the following unicode character ranges: Basic Latin (93), Latin-1 Supplement (6), Latin Extended-A (1), Spacing Modifier Letters (2), General Punctuation (9), Currency Symbols (1). 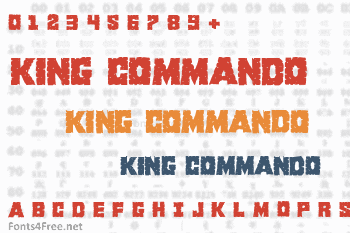 King Commando is a fancy, eroded font designed by Iconian Fonts. The font is licensed as Free for personal use. You can download and use the font free for personal projects. For commercial projects please refer to the license file in the package or contact the designer directly from iconian.com.